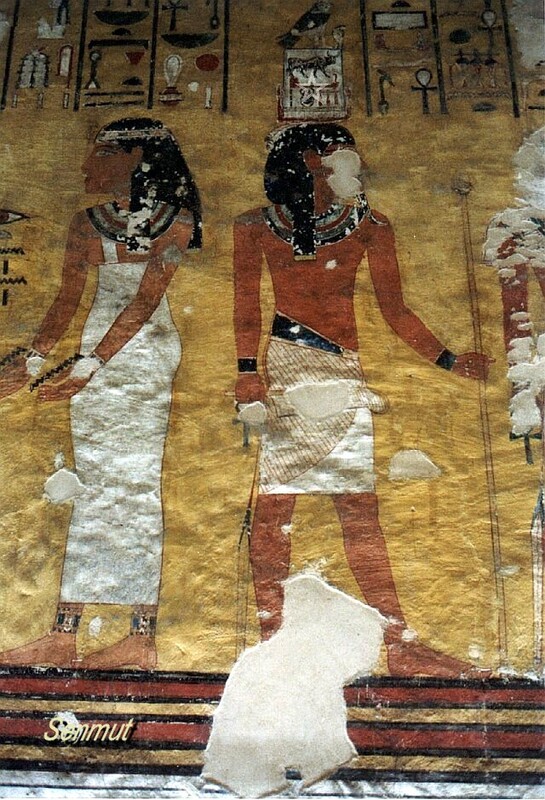 Eye was the son of Yuya and Thuya and brother to Queen Teye, and was partial of native Egyptian blood, since his mother was of foreign birth. 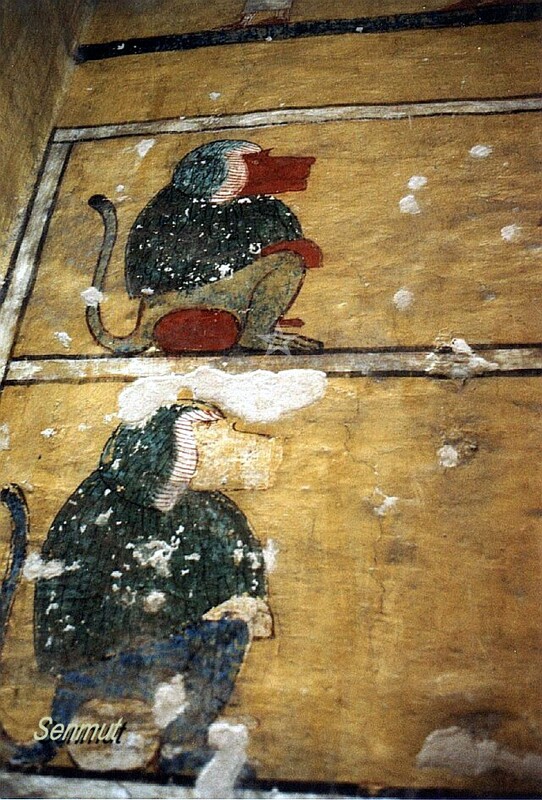 maybe Syrian. 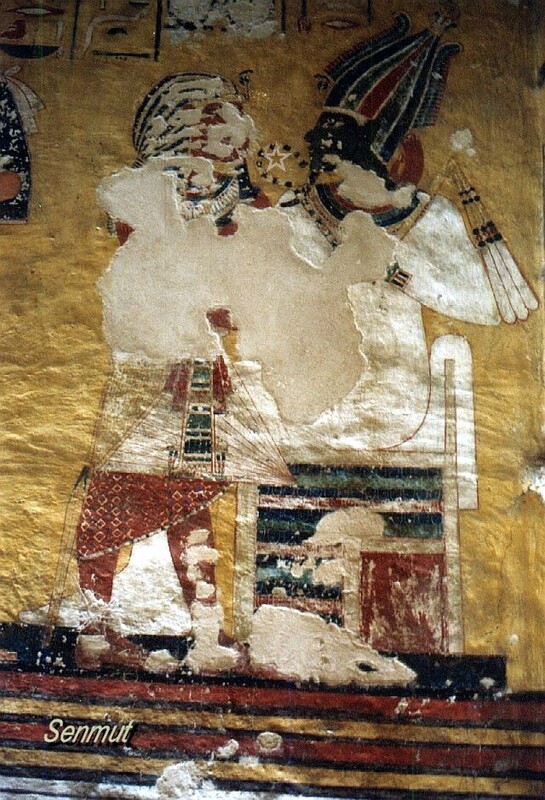 His father Yuya was an influential nobleman at the royal court of Amenhotep III who was given the rare privilege of having a tomb built for his use in the royal Valley of the Kings presumably because he was the father of Teye, Amenhotep’s chief Queen, so this provided him the way to the high society and life at the court. 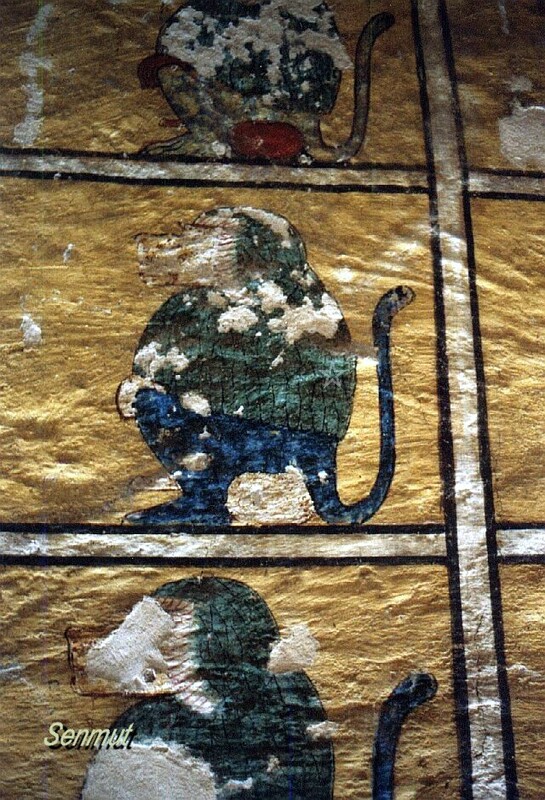 His birth name is unusual, “Father of God” (it-netjer). 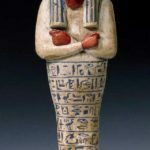 He rose at the reign of Amenhetep IV, who changed his name into Ankh-en-Aten and moved to his new residence AnkhenAten. 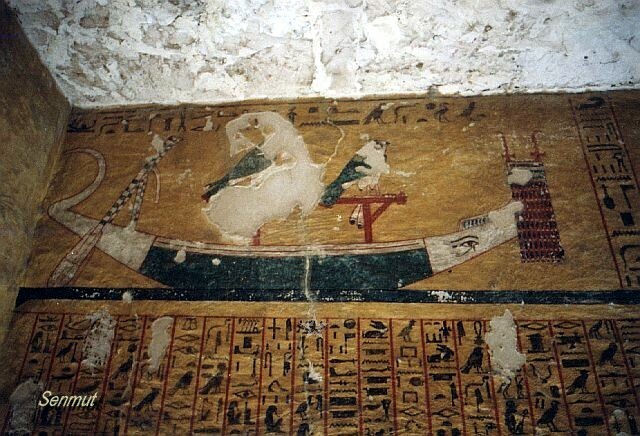 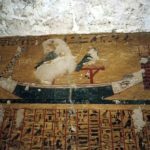 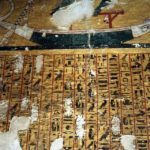 Here Eye built probably his second tomb, but never used it, and after the death of the king he moved back to Thebes with the new king Tut-ankh-Aten. 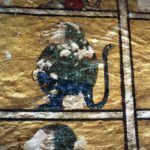 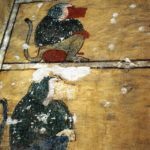 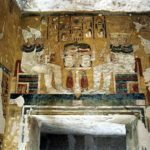 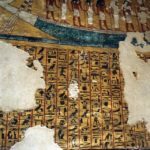 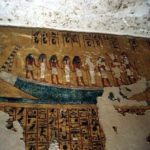 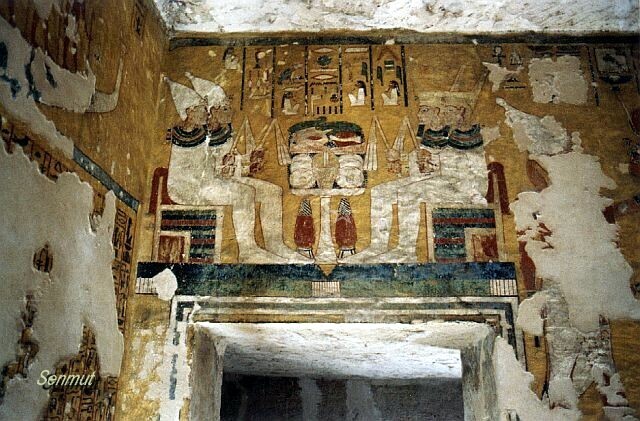 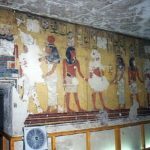 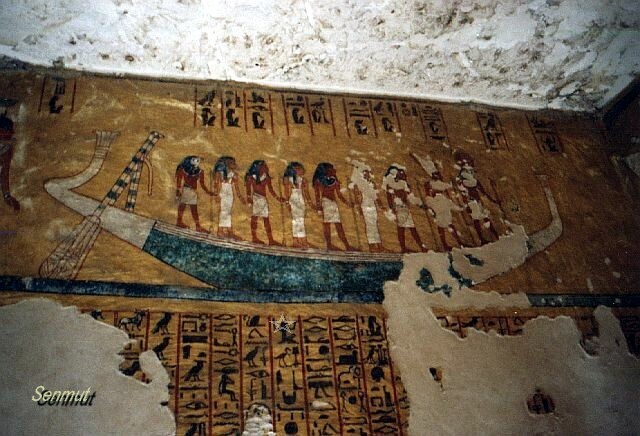 It could be that he started on his tomb in the Kings valley KV62 as high nobility in his early career. 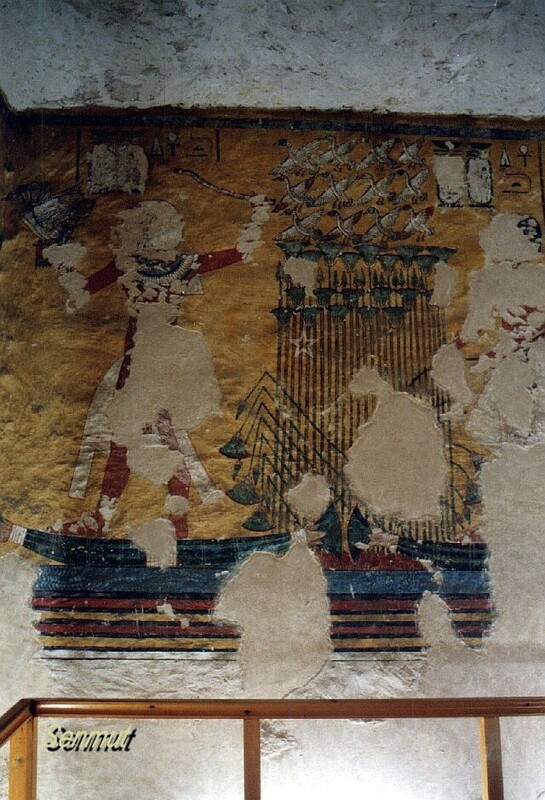 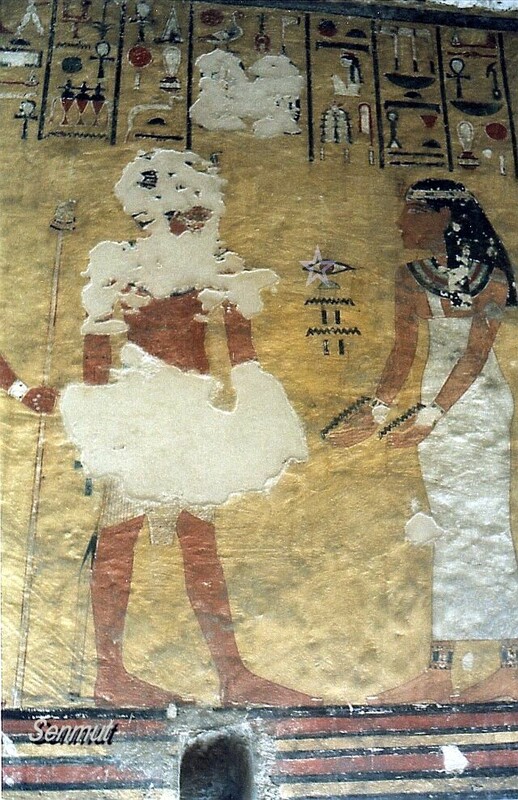 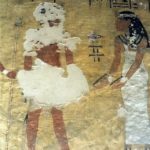 Probably a tomb was built in the western valley for Tut-Ankh-Amen. 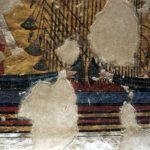 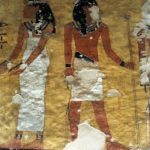 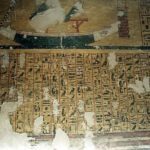 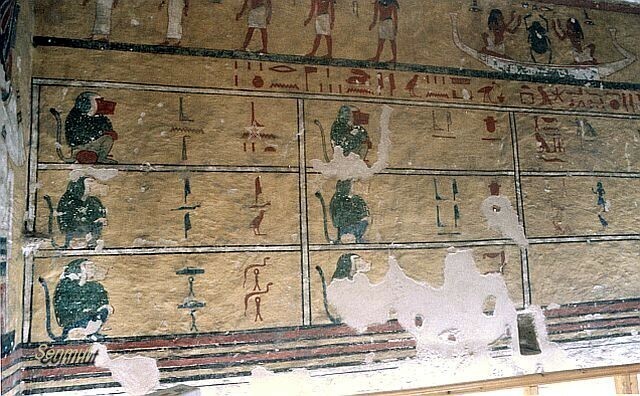 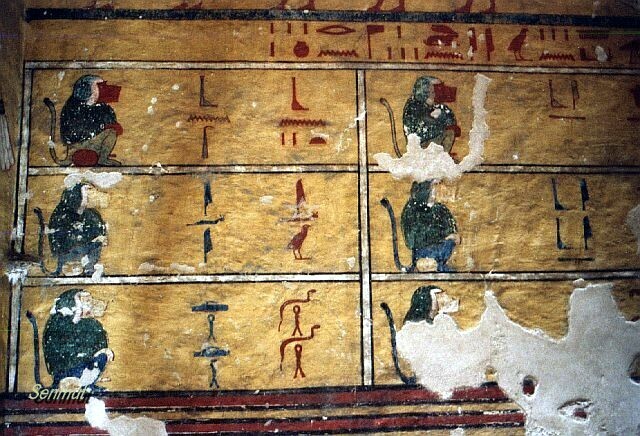 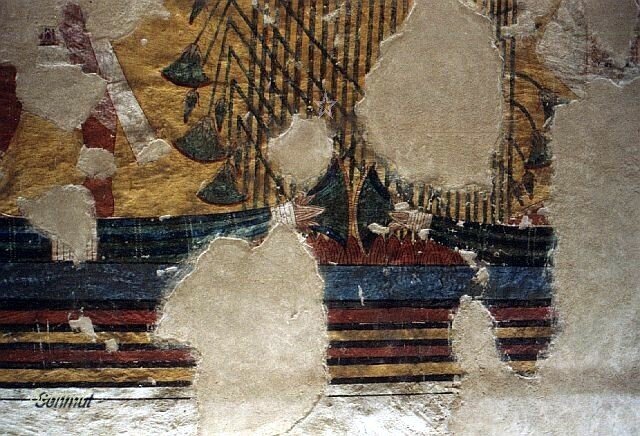 With the sudden unexpected death of the young king and the fact that his own tomb at the western valley was not ready, he was buried in the tomb of Eye KV62, while Eye started a new tomb for himself in the western valley, now know as WV23, at the start of his reign. 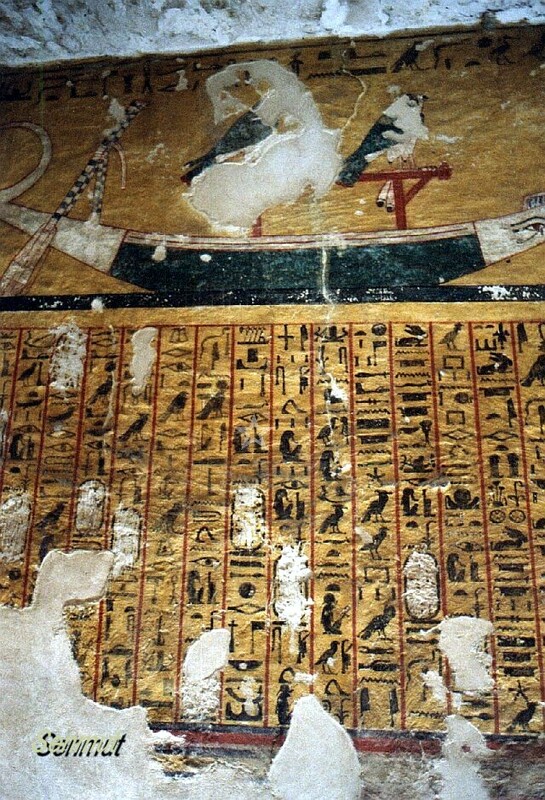 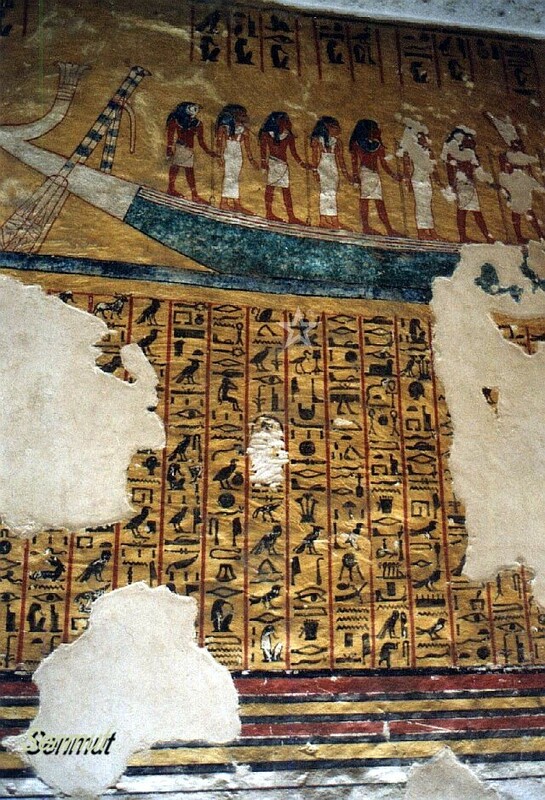 The tomb was probably robbed in antiquity and the mummy of Eye was never found nor identified till now. 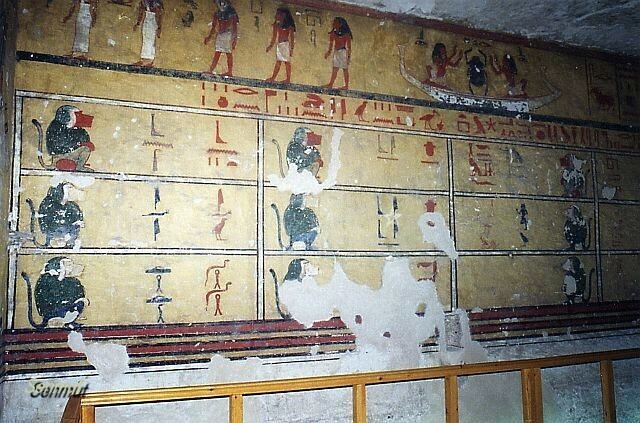 There is much resemblance between both tombs in decorations, the layout is totally different. 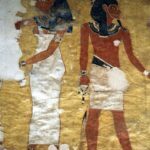 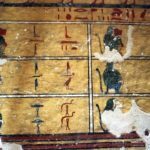 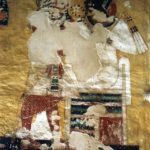 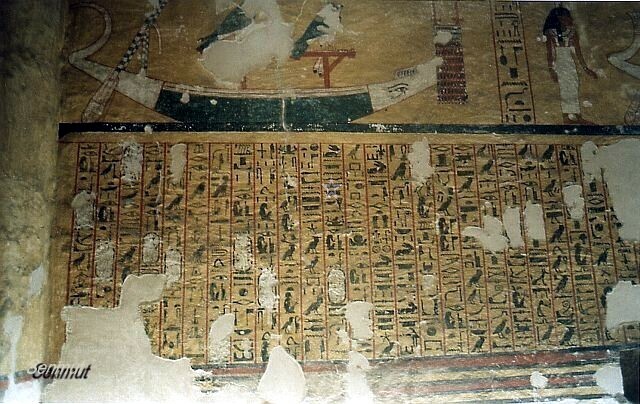 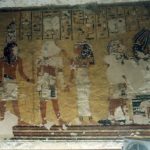 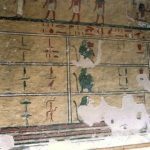 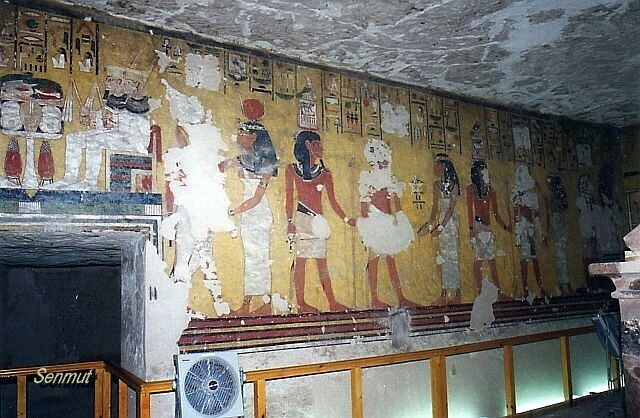 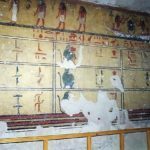 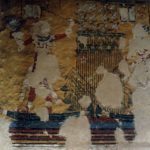 KV62 is not a royal tomb, but more one for the upper class and super rich. 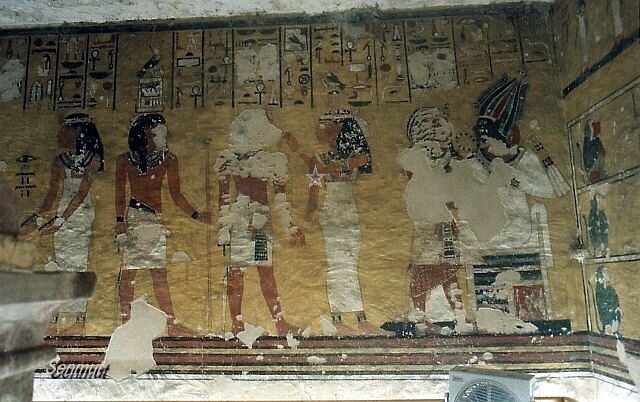 After the death of Tut-ankh-Amen he ascended the thrown and reigned for 4 years. 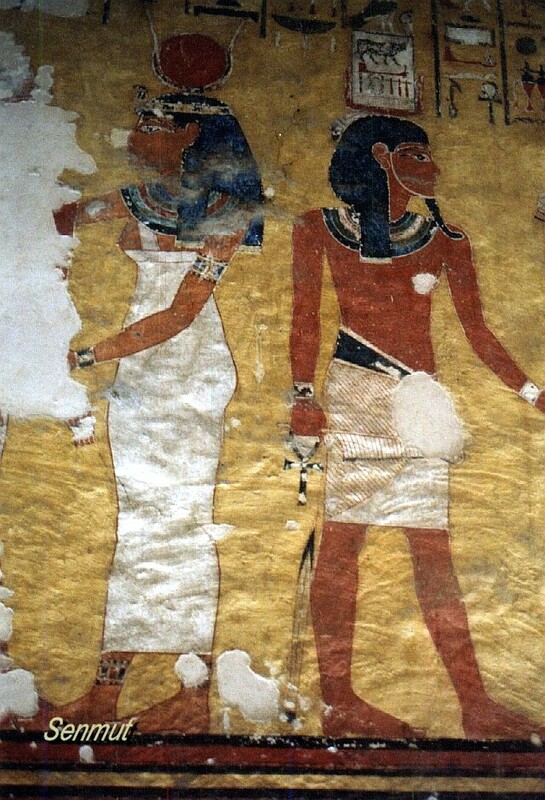 He was the father of Mutnodjmet who married Horemheb. 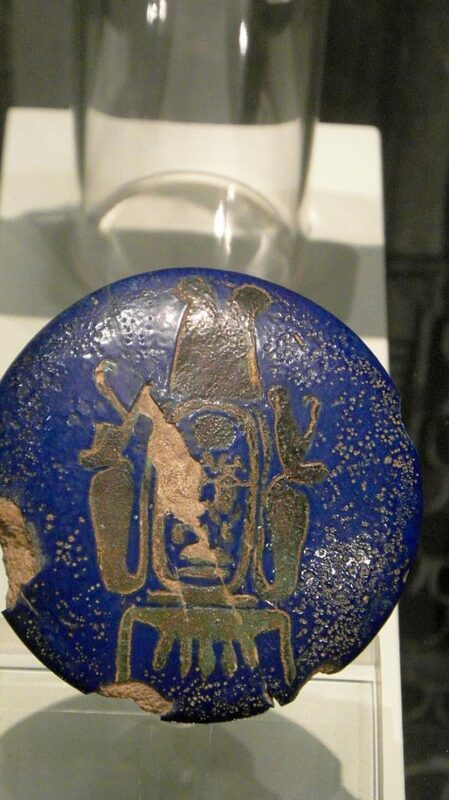 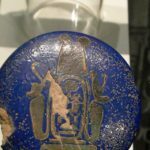 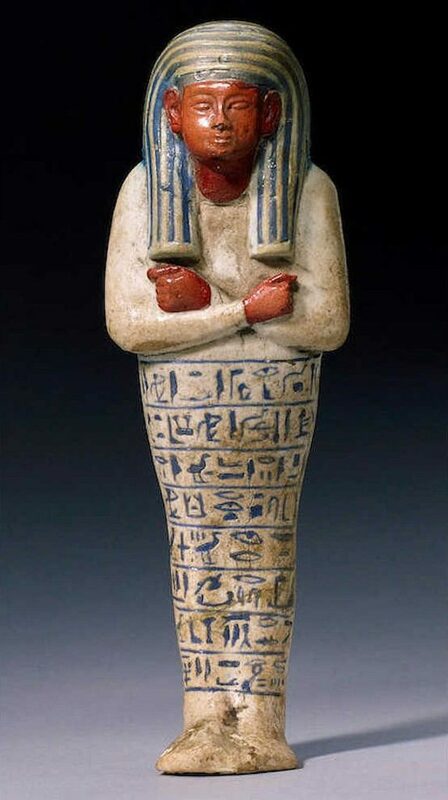 In 2004 appeared a shabti at Bonhams auction house, bearing the name of Eye, and which was discovered probably during clearance work by H Carter, so one could suppose that a burial actually took place in WV23.